Whether it's cake, pie, donuts or creme puffs - everyone anticipates the sweets at the end of the night! 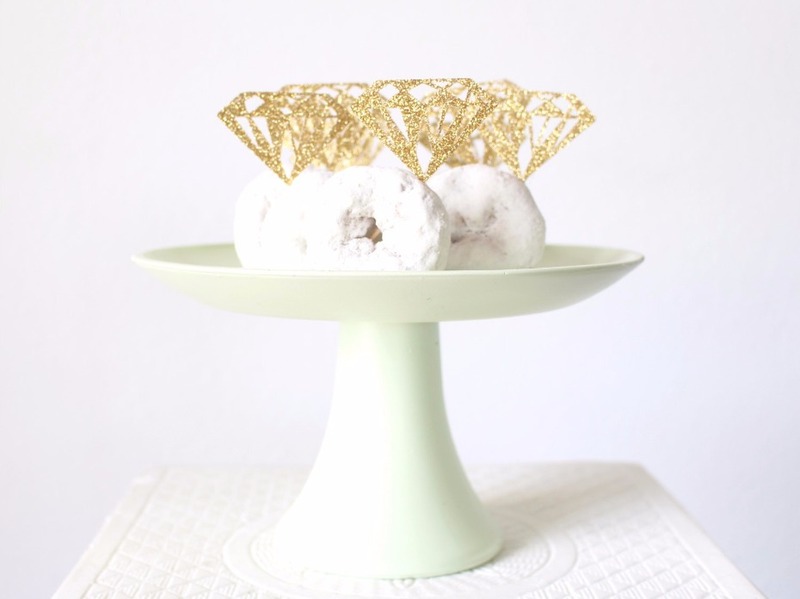 All eyes are on the cake or dessert table and we know you want it to look picture perfect. 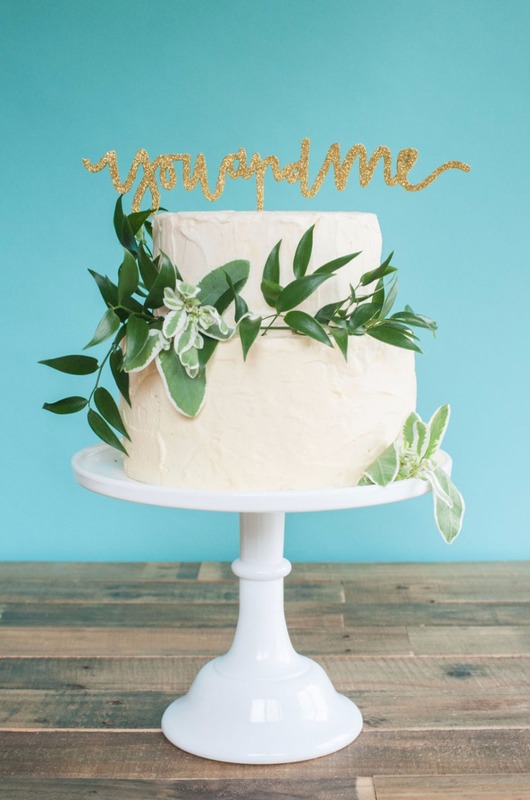 We've rounded up 10 cakes toppers (out of THOUSANDS no joke) and here are the ones that spoke to us, or more specifically me. 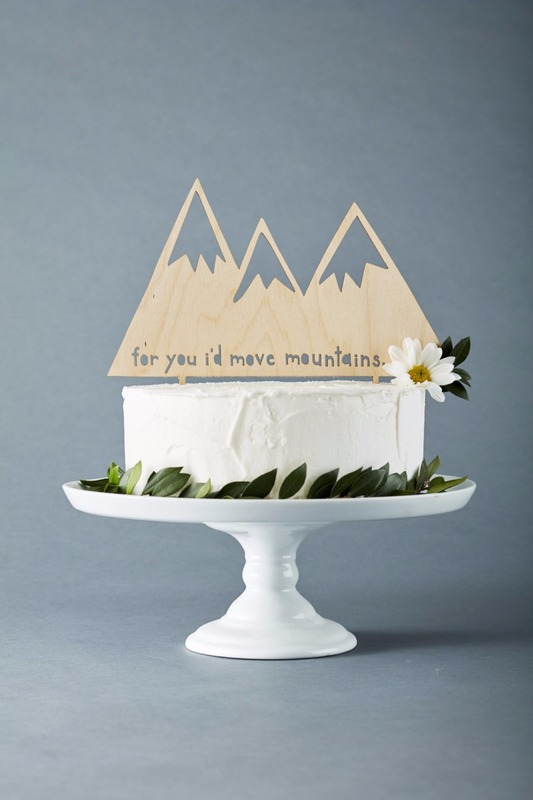 We're starting off with this lasercut rustic cake topper that reads "for you I'd move mountains." Well, jeez that's romantic. This rustic beauty is $35+ depending on the text you choose. These funny little guys are just too cute, I mean a fish wearing a top hat. It really is the little things that can make you smile! 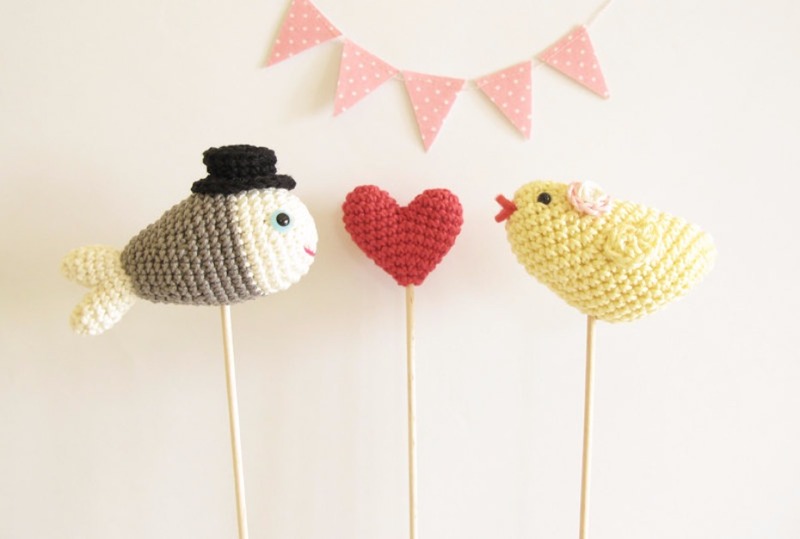 We love the sweet and whimsy with these little yarn babies. Priced at $47.69, these barely slide in under budget. 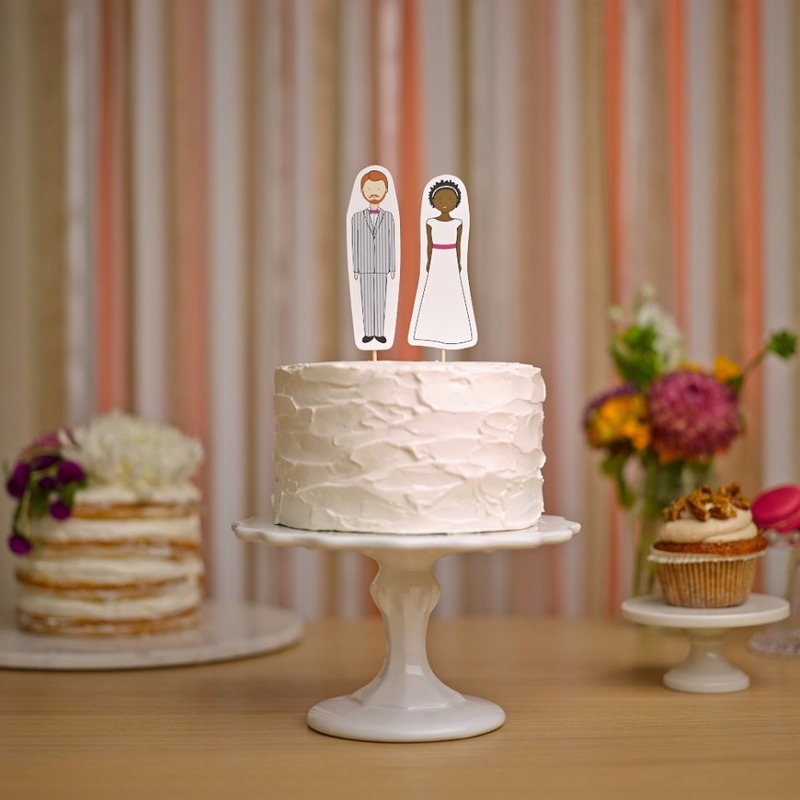 Keep it simple with this Bride and Groom Wedding Cake Topper. Customize them to your liking and you can even add your kiddos or your pets. These are priced at $25 making them one of the most budget friendly options of this bunch. Proudly display your new initial *if* you choose to change your name. Not everyone is changing their names these days and it's definitely not a must. 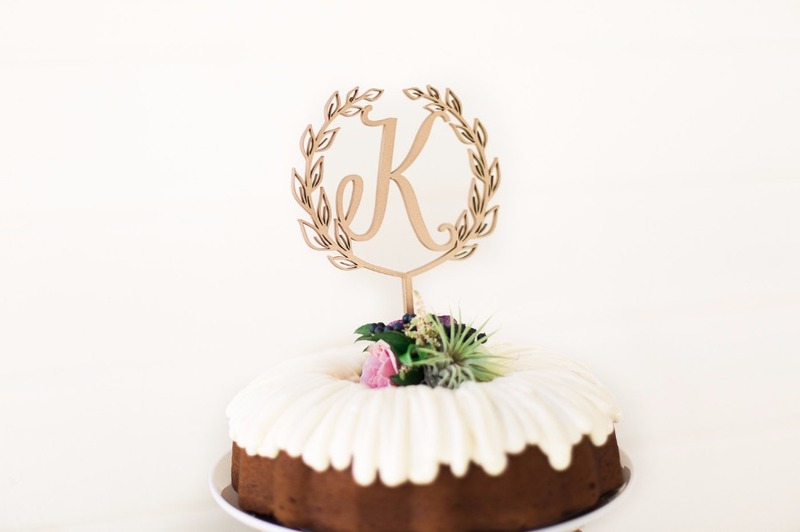 This rustic lasercut initial topper is 5 inches and 38 bucks. All that glitters, you know the saying! This You and Me topper will shine and sparkle on the top of your cake! It also happens to be made by one of favorite Wedding Chicks friends, Emily Steffen. PoshSoiree has my number ... powdered donuts. Yummy! If you choose an alternate wedding cake, this a gem of an option. See what I did there? For just $7.99 you get 12 donut toppers, but we think they would be equally as cute on cupcakes! Lightpaper made our list twice, not only for the adorable designs but also for the fantastic photos! They stand out and really caught my eye while scanning all of the options. 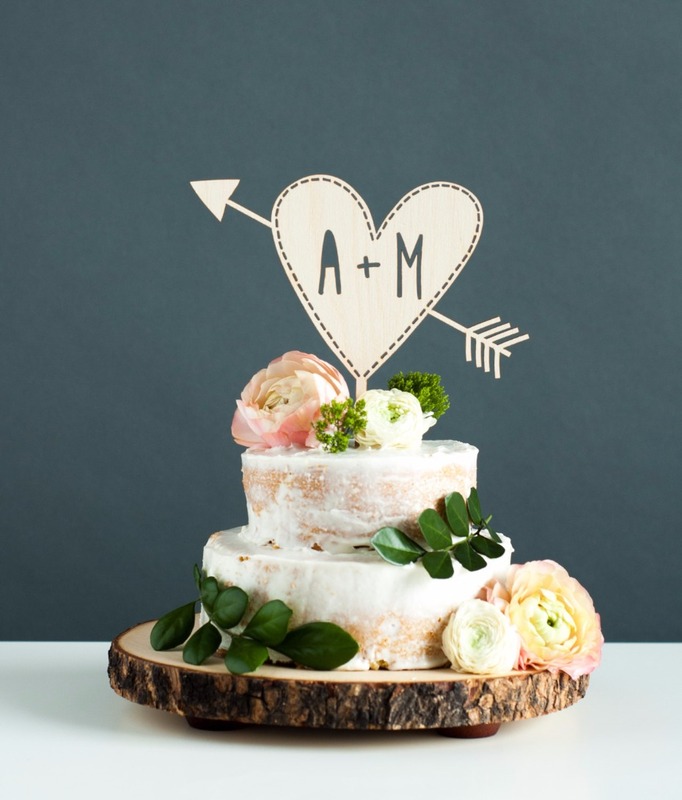 This birch lasercut arrow heart cake topper is $38 and would be so cute with our free printable! We can all agree that things made of felt make us feel so happy. Felt is so cozy and cheery! 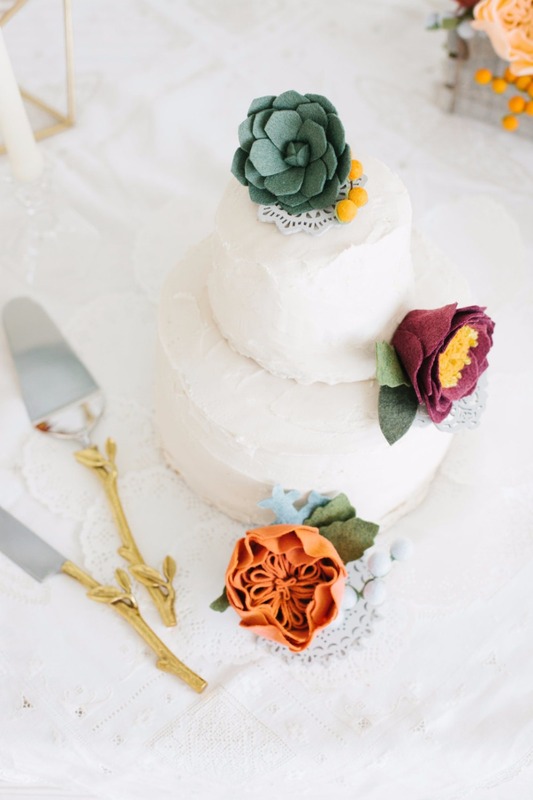 These handmade wool felt flower and succulent cake toppers are nothing short of adorable. These little beauties start at $28 and need 12 weeks for production so plan accordingly! I love you to the moon and back. I mean, is there anything sweeter to say? Weep weep. 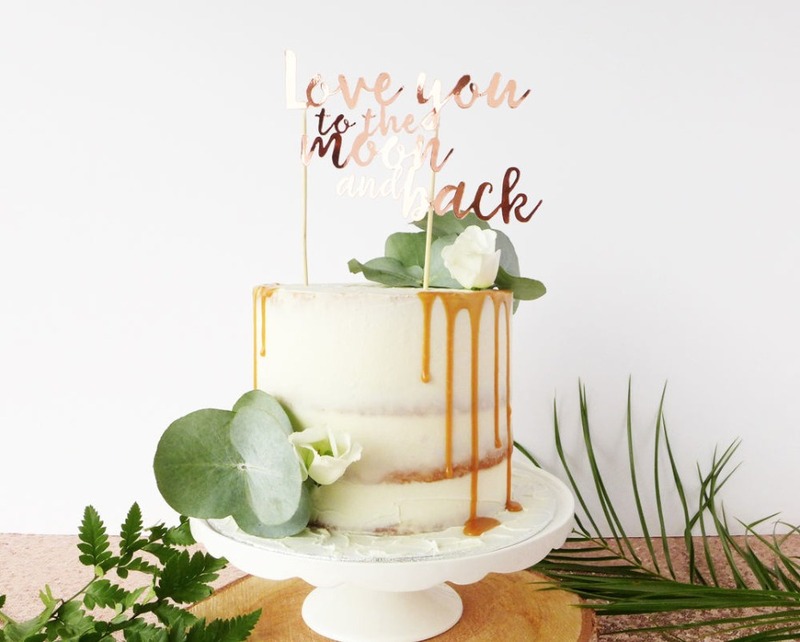 This rose gold cake topper is on trend and a perfect way to profess your love. Are you ready for this? It's only $16.17. I have no idea where these random prices are calculated but whatever, it's a great price. The shop needs three weeks for production, so plan for that! Ok, so I went slightly over budget on this on but COME ON. This is like the cutest thing I've ever seen in my entire life. 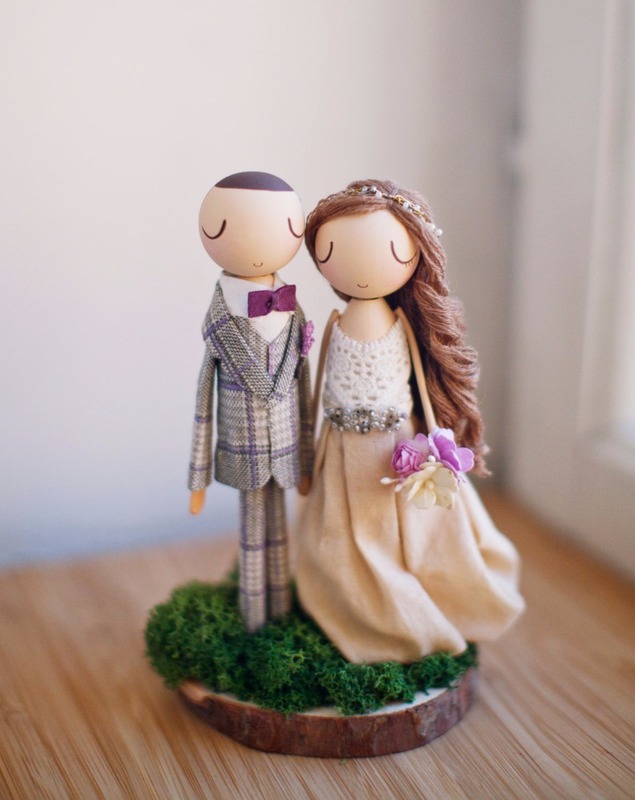 I mean ... a rustic boho personalized doll cake topper. There are so many cute options from which to choose from the dress to the groom's facial hair! My life is complete. I want this just to put in my room. This little masterpiece is $145 and takes only 2-4 weeks to create. Be sure to check out 10 Funny Bachelorette Gifts all from Etsy too!